Waterloo – We’re looking for Canada’s Top 10 scaleup tech firms! The Lazaridis Institute for the Management of Technology Enterprises at Wilfrid Laurier University is travelling across Canada to find the most promising companies to join the first cohort of the Lazaridis Institute ScaleUp Program. We’re hosting roadshow events in five cities featuring engaging presentations from two high-profile entrepreneurs and investors, Chris Burry and Bill Reichert, both of whom have signed on as instructors in the program. Waterloo, Ontario – Monday, Aug. 22, 5:30 p.m. - 8:30 p.m.
Toronto, Ontario – Tuesday, Aug. 23, 6 p.m. - 9 p.m.
Ottawa, Ontario – Wednesday, Aug. 24, 6 p.m. - 9 p.m.
Montreal, Quebec – Thursday, Aug. 25, 6 p.m. - 9 p.m.
Vancouver, British Columbia – Friday, Aug. 26, 12:30 p.m. - 2:30 p.m.
Chris Burry, co-CEO of US Market Access Center and Industry Fellow at the University of California Center for Entrepreneurship and Technology; and Bill Reichert, managing director and co-founder of Garage Technology Ventures. Burry and Reichert have helped many leading companies to scale successfully. They’ll share practical advice on how to grow fast and go global, while avoiding the perils of rapid expansion. The Lazaridis Institute for the Management of Technology Enterprises was created in 2015 to support growth-oriented Canadian technology companies. Developed through investments by Mike Lazaridis and the Government of Ontario, the Lazaridis Institute helps current and emerging technology firms to scale rapidly into globally competitive enterprises. 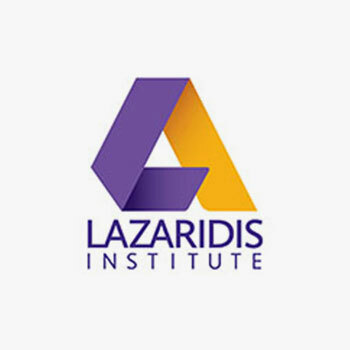 The Lazaridis Institute is based in the Lazaridis School of Business and Economics at Wilfrid Laurier University in Waterloo, Ontario, part of the Waterloo Region-Toronto Tech Corridor. We’re building knowledge and networks to strengthen Canada’s tech ecosystem, its current leaders and the students who’ll be the leaders of tomorrow.